These liberal rants about Dana Loesch prove liberalism is a mental disorder. As repeatedly explained(especially since January 2017) liberalism, at its core, is an ideology of insane, bloodthirsty rage and hate. Sadly, liberals prove that assertion correct on just about any given day. The latest to do so is Michael Harriot, a “journalist” with the reliably liberal “The Root,” who said on Twitter he wants to see NRA spokeswoman Dana Loesch slowly burn to death in a car crash. In the bio on his website Michael Harriot talks about how his mom inspired him to be a writer. I wonder if he kissed his mom with that mouth? I can almost guarantee his mother didn’t teach him to talk to women like that. He doesn’t struggle with hate, Dana. Hatred is an integral part of being a leftist. The bottom line is this: If you support the Second Amendment right to keep and bear arms, the Constitution as a whole, Donald Trump, or any conservative agenda item, liberals hate you and they want you dead. Dana Loesch continued by pointing out the error of his ways. Proving once again what a classy lady she is (and not because she was my editor at Big Journalism). Also, Michael had this to say at @TheRoot , which was happpy to publish. Not sure where he gets that I laughed at anyone, but what a rotten thing to say. Appareny Michael struggles with hate in his heart, which is especially sad to see during this time of year. Look, we are all going to have different opinions. 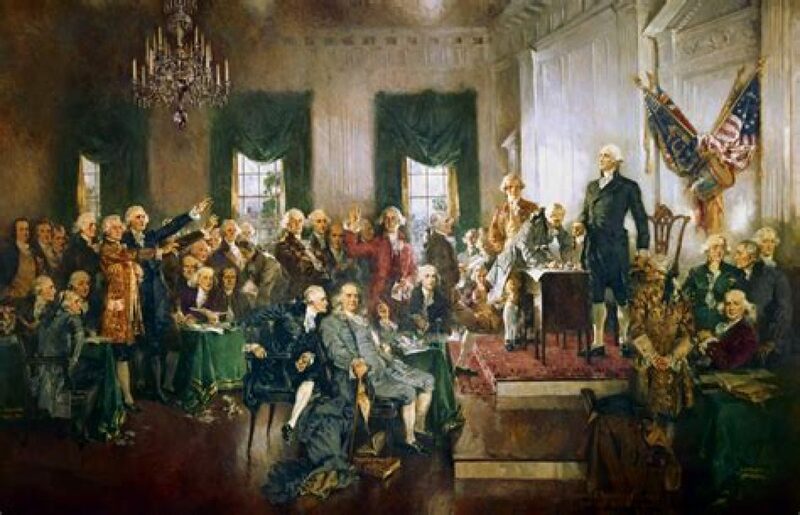 Wishing death upon me or anyone else won’t cause me to reconsider my support for the Constitution, in fact, it further makes me glad for my right of self defense. Can we do better than this hatred? God bless. “We,” meaning rational, thinking, caring human beings, can. Sorry Dana, but I don’t hold out much hope for leftists. Merry Christmas, @michaelharriot. I pray that the transformative power of Christ comes to you in this Blessed Christmas Season. It’s also interesting to note that Harriot is a “verified” Twitter user. Which means that he gets to exercise his liberal privilege on Twitter and can say anything without any serious repercussions from the social media company. We all know that if any conservative said anything like this about a leftist, said conservative would be banned for life. You stay classy, official blue checkmark. Thank you for sharing this! Love this verse! It seems to explain the behavior of so many on the Left (as a few on the right too) right now, but perfect reminder of what our response needs to be! This is absolutely sick. How dare you tweet about @DLoesch in this manner. Well Pierre, you are correct on that one, Twitter only banishes conservatives. Dang! @michaelharriot has some serious anger issues. Calm down and get some help, dude. Remember Dems saying “When they go low, we go high”? YES WE CAN! #Gratitude for you. Merry Christmas to you and the ones you love!, and we’ll extend a little Xmas cheer to the trolls too! 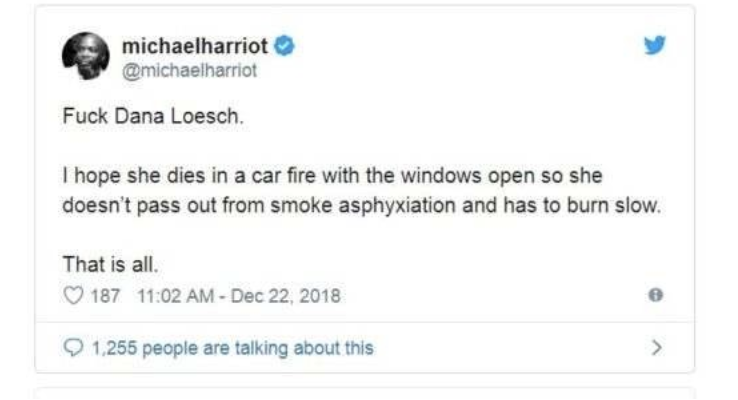 What we’d like to know, however, is this: Does the management of “The Root” approve Harriot’s publicly stated desire to see Loesch slowly burn to death in a car fire? We will probably never know.